Cash Flow Statement: How to Calculate the Net Increase or Decrease in Cash? How to Calculate the Net Increase or Decrease in Cash? Q: How is the figure for net increase/decrease in cash calculated or arrived at? 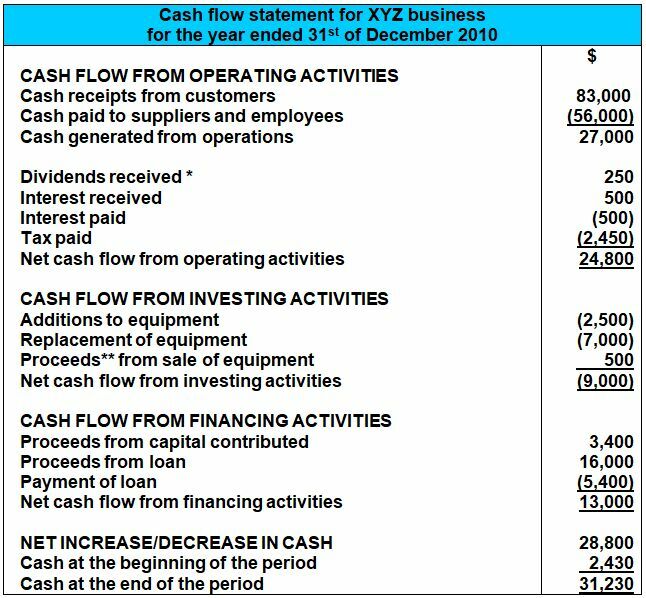 Note that the net cash flow from investing activities is shown in parentheses () in the cash flow statement above, meaning that it is -$9,000 or a negative cash flow of $9,000. Also note that the cash at the beginning and at the end of the period is just included as part of the end of the report as a sort of breakdown of the net increase or decrease in cash flow during the year. Hope that makes sense now. How do I know if there is net increase or decrease in cash?